Lady Cecily Beauchamp has always put her family first. Until she falls under the spell of the mysterious Zachary Gray—a man of Romany descent. Knowing her family will forbid their match, Cecily steels herself to do her duty and marry someone else. Only she finds herself irresistibly drawn to Zach as the spark between them ignites a passion neither can deny! This is book three in the Beauchamp Betrothals series. I think this is by far my favorite story so far and I have given five stars to the prior ones. If I could give 10 stars to this romance I would. This story has everything: a dashing hero, a strong loving heroine and a horrid villain. I can’t wait to read the next installment. Bravo Ms Preston! This truly was a perfect story to end this series! This is the last book in The Beauchamp Betrothals series & I absolutely loved it! What a fabulous ending to this series! 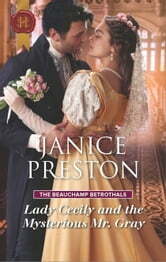 Lady Cecily Beauchamp is the younger sister to Lord Vernon Beauchamp and Leo the Duke of Cheriton, they were the heroes in the first two books in this series. We met our hero Zachary Gray in the previous book and he's somewhat of a mystery, hence the title! :-) I have liked Cecily from the beginning book. She's now 30 and has spent her entire adult life in charge of her family household and taking care of her widowed brothers children. So when her two older brothers find love and get married within 4 months she feels her comfortable world unsettled. This is when she first meets our hero. Zach and Cecily form a friendship and although they are both drawn to each other and begin to have feeling for each other, their stations in life are so different that both know nothing can come of it. I absolutely fell in love with Zach! He was such an interesting, charismatic and loveable hero. Zach also has some secrets he's hiding that could possibly change his relationship with Cecily. As their love grows and their feelings become known to each other and the people around them, people do their best to keep this couple apart. This story has an absolutely beautiful ending and is absolutely fitting for this special couple and their HEA. This truly was the perfect story to end this series. From the wonderful secondary characters, the fabulous storyline, to a couple who captured my heart, if I could I would give it 10 stars! 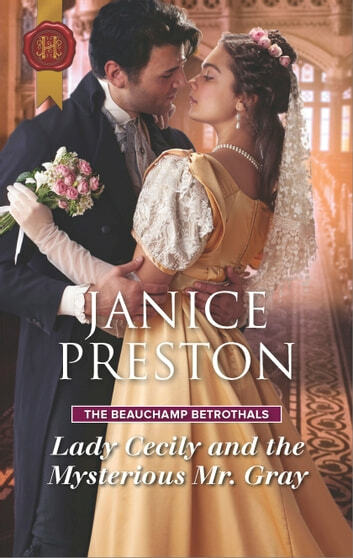 I've absolutely loved this entire series and look forward to reading Janice Preston's newest Beauchamp series, The Beauchamp Heirs featuring Leo the Duke of Cheriton's three children!